I guess Walmart is in a fight for survival against Amazon, and had to file for something like this. It is easy to see that Amazon’s drone delivery system could easily be turned into a pollination armada, which would help Amazon pay for the cost of the drones or give them a huge income stream. 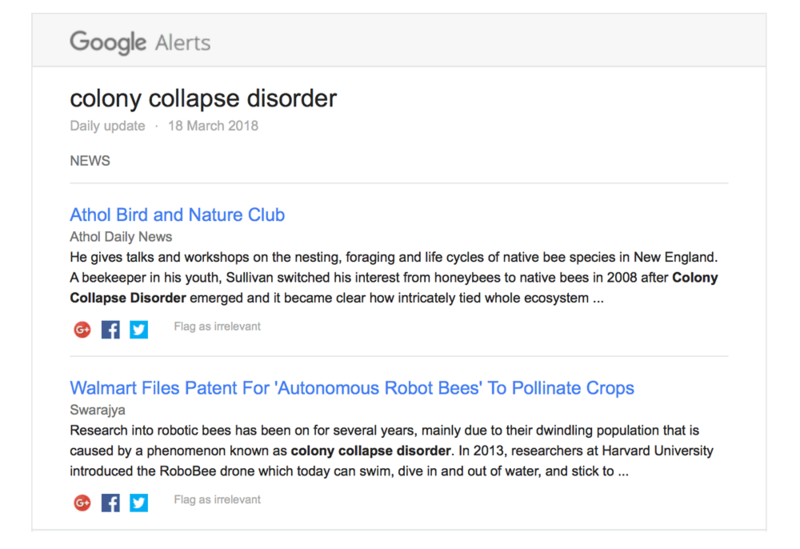 Some years ago I set up an alert for ‘colony collapse disorder’ with Google, and I get regular alerts. This is the alert I got today.